1 Notice: This tutorial has been created with Ubuntu 15.10 (Wily Werewolf) and does not work with older versions. If you are using an older version please contact our customer static for assistance. 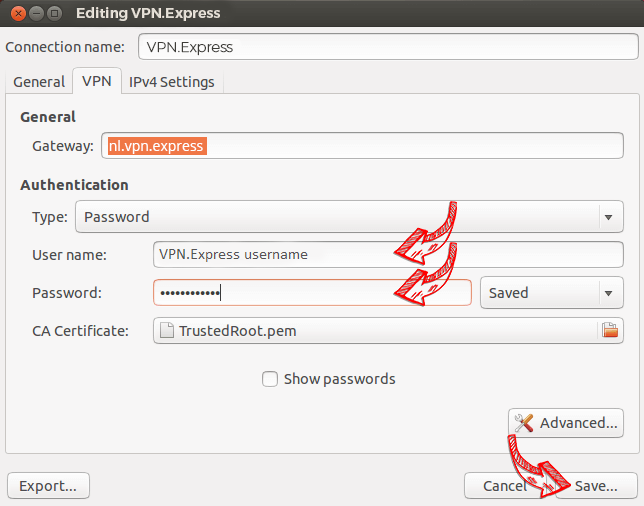 Open the terminal and install OpenVPN with the following command. 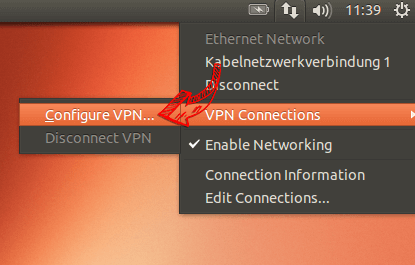 2 Open the network menu, go to "VPN Connections" and click on "Configure VPN...". 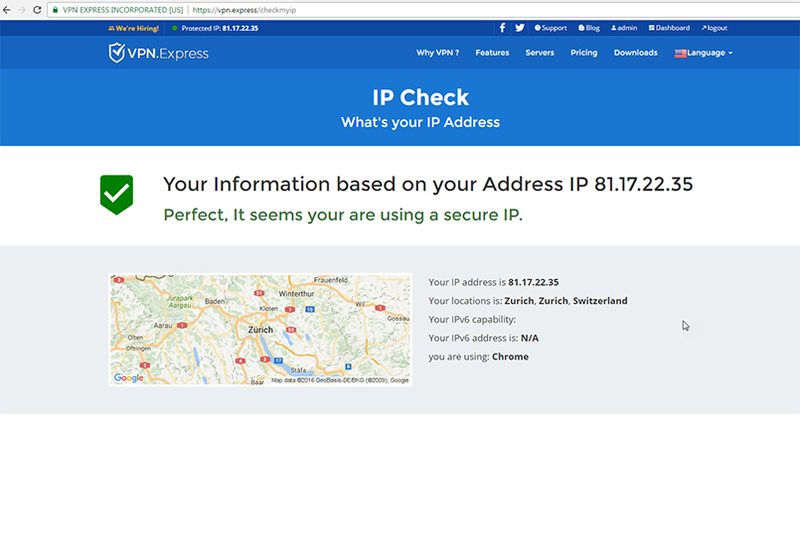 4 Click on "Import a saved VPN configuration...". 6 Download the OpenVPN configuration, unzip it and import the .ovpn file. 7 Enter your login credentials and click on "Save...". 7a Switch to "Advanced Configuration" and in the tab "TLS Authentication" check "Use additional TLS authentication". Select the file "StaticKey.pem" from the configuration and set the "Key Direction" to "0". Confirm with "OK". 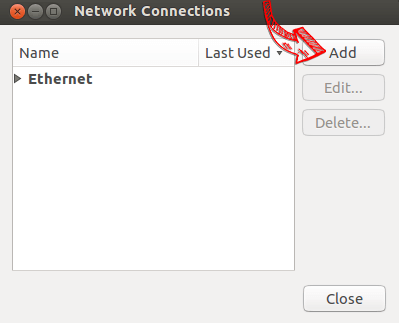 8 Open the network menu to establish a VPN connection. 9 If connection has been successfully established, the status is shown in the menu bar. You can manage your VPN connection in the network settings.